(2 Customer Reviews) | Write Review 4 issues per year Paranormal Magazine explores areas of the Paranormal that have been seldom tackled so far. For example, is Magick considerably more than just the stuff of legends? And could it be compared to a form of technology? Is there apparent proof of the reality of phenomena in the bizarre and convoluted world of Quantum Physics, and that magick might even be real? Is there really proof that we survive physical death? Can we really and effectively communicate with the’other side’? Is this idea more than mere wishful thinking, and more importantly, can the departed really answer us? No aspect of the multi-faceted world of the paranormal will be over-looked, because although fascinating enough, there is so much more to the enigma of paranormal phenomena than the ghosts and ghouls of tradition. To understand the basics of this most elusive phenomena, is to understand the very nature of reality itself. In each issue of Paranormal Magazine, we hope to bring you examples of such phenomena at work and even more besides. If we can supply possible answers, we will, so stay with us because the journey may prove to be all you ever hoped for. In this issue of Paranormal Magazine, new contributor, Angus Huck, evaluates the claims made by psychic Chris Robinson, that he can ‘dream the future’, and his findings should open a few eyes. 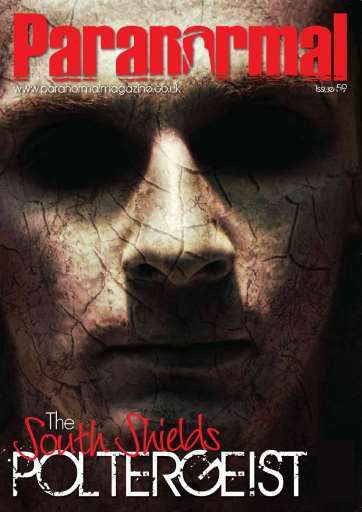 As always poltergeists make unnerving yet almost addictive reading and in this issue we look at the astonishing and alarming case of the South Shields Poltergeist, and new columnist Stephen Hodge casts an academic, if slightly irreverent, eye over recent claims that we can actually sense the future. Archie Lawrie presents the poignant tale of a long dead miner who still fought to free himself from the disaster that killed him. Andy Owens considers the possibility that some sort of tangible ‘energy’ creates and controls the conditions that permits some kinds of apparitions function. Stephen Wakefield presents a thoughtful and detailed look at how the concept of demonic entities gradually evolved and developed from the earliest days of the human race. With another example of our never-ending fascination with the poltergeist, why does this phenomenon always attract such attention? Darren Ritson and Mike Hallowell examine one recent case. Paranormal Magazine explores areas of the Paranormal that have been seldom tackled so far. For example, is Magick considerably more than just the stuff of legends? And could it be compared to a form of technology? Is there apparent proof of the reality of phenomena in the bizarre and convoluted world of Quantum Physics, and that magick might even be real? You'll receive 4 issues during a 1 year Paranormal magazine subscription. Interest in Paranormal this is for you... My interest started after seeing mysterious goings on at Tower of London. Not a place to spend Halloween night on guard in, with its history. This mag is full of insight. 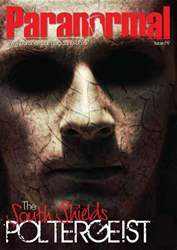 The best paranormal magazine read anywhere. You'll receive 4 issues during a 1 year Paranormal magazine print subscription.